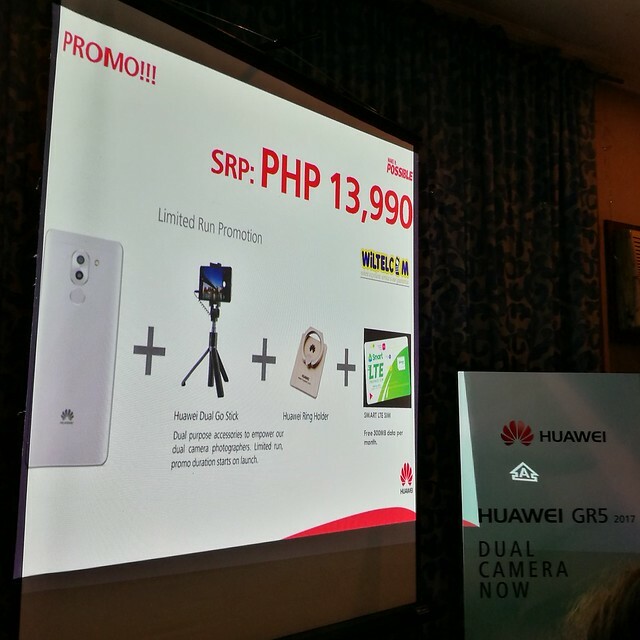 Huawei Philippines officially launched their newest and the most affordable premium smartphone with a dual camera setup, the GR5 2017, here in Davao City. It is also known as Honor 6X and Mate 9 Lite in some countries. The GR5 2017 features key improvements over the previous version GR5. GR5 2017 has a slim metal design with a 5.5-inch Full HD display which makes any type of content look great with true-to-life colors and it has a matte finish at the back that makes it easier to hold and grip and operate with one hand. 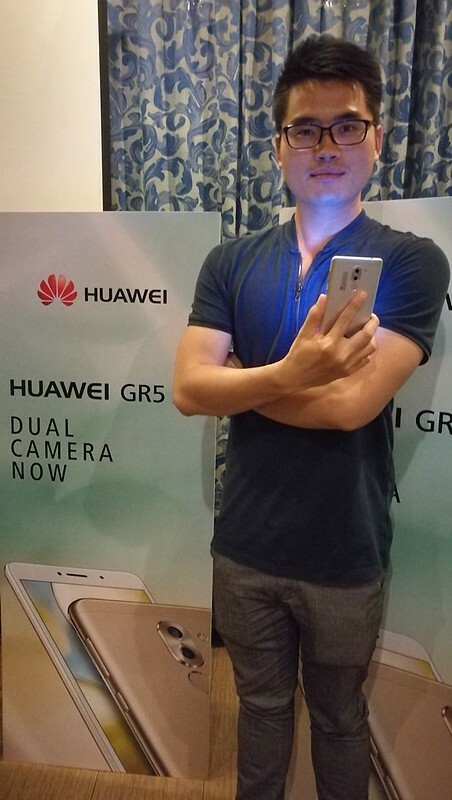 A key feature of the Huawei GR5 2017 is it uses dual-camera technology. 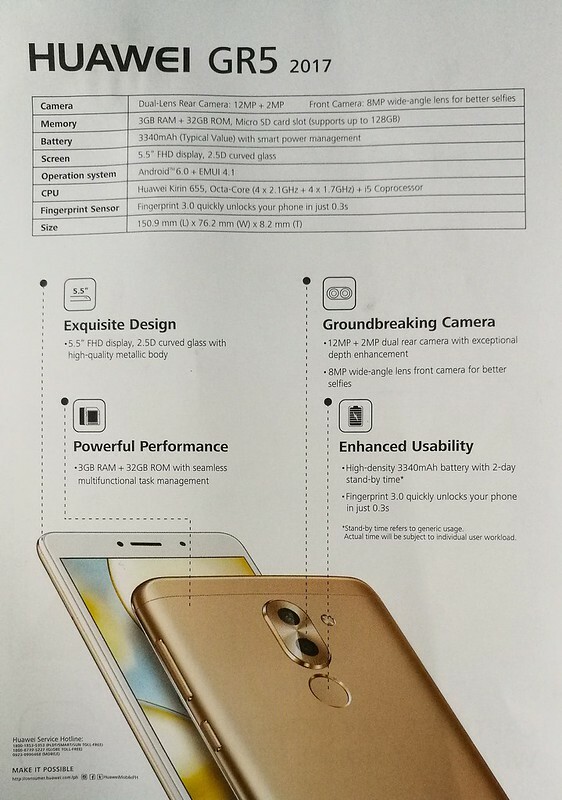 It has a 12 megapixel / 2 megapixel rear camera and an 8 megapixel front-facing selfie camera, featuring a wider angle lens, and automatic facial recognition and retouch software. Preset beauty filters and panoramic selfie mode are also available in this model. It features 0.3-second auto-focus speed and produces genuine bokeh effects, and a Pro Photo mode for those who prefer more advanced setting adjustments just like its premium cousin, the P9 series. The “bokeh” effect is possible using its dual camera. GR5 2017 is powered with an updated Kirin 655 2.1GHz octa-core processor plus i5 co-processor that comes with a 3GB of RAM for your multi-tasking needs, for speed and a smooth user experience. It has a 32GB of internal storage and a 3,340mAh Li-Ion battery which also features intelligent power-saving technology. The 3340mAh Li-Ion battery provides up to 1 day of use. Other phones on the same price range only have 16GB internal storage. Theirs has 32GB plus if you use a microSD card, it can support up to 128GB. GR5 2017 runs on Android 6.0 Marshmallow with EMUI 4.1. It also has the new generation fingerprint reader to help keep your data secure and safe. Its feature Fingerprint 3.0 technology, unlocks the screen in just 0.03 seconds with both wet and dry fingers. We were told that the fingerprint reader is better than our Huawei P9. With the P9, a user may experience some trouble when it is unable to recognize your fingerprint when your finger is sweaty or wet and you have to sort to your PIN in order to open the screen. 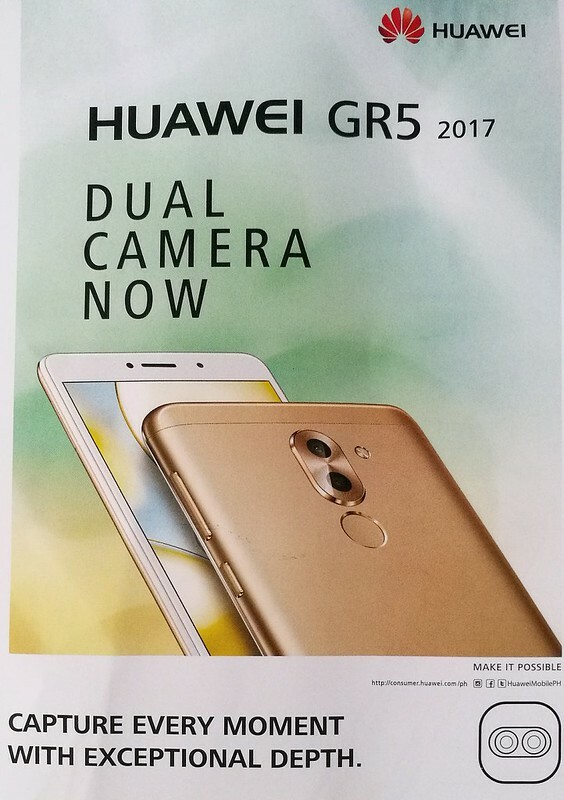 The Huawei GR5 2017 is available in all Wiltelcom stores in Gaisano Mall Davao, Victoria Plaza, Abreeza, SM Lanang Premier, SM City Davao coland, GMall Toril, Gaisano Mall Tagum, GenSan. 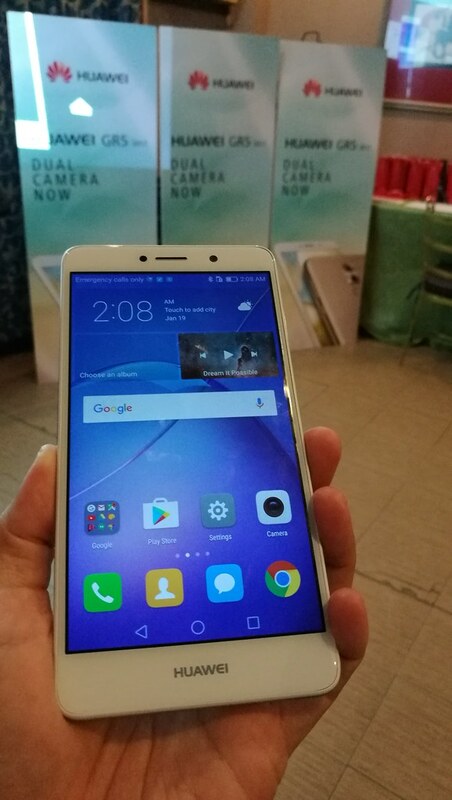 It has a suggested retail price of Php13,990. As a promo, Wiltelcom is giving away freebies – a Huawei Dual Go (selfie) Stick, a Ring Holder and a Smart LTE SIM with free 300 MB date per month – for every purchase of the GR5 2017.